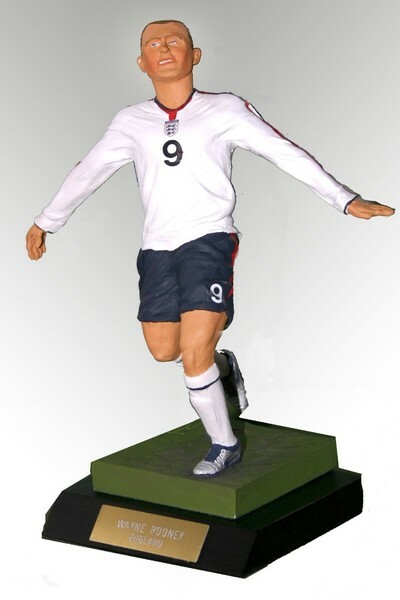 A superb figurine of Wayne Rooney in his England strip. He is the record goalscorer for the England national team and Manchester United. At club level, he has won every honour available in English, European and Continental football. Along with Michael Carrick, he is the only English player to win the Premier League, FA Cup, UEFA Champions League, League Cup, UEFA Europa League and FIFA Club World Cup.